A lifetime of good oral health begins during the first stages of life even before the first teeth emerge. Parents who are well-educated in children’s dental health can more adequately ensure that a child’s oral care needs are met. From an early age, pediatric dentists serve as partners in oral health and prevention, answering questions and providing helpful information about teething and at-home oral care. that 2 in 5 children have at least one cavity by the time they go to kindergarten? In fact, early childhood caries can appear shortly after the first tooth appears. Once a baby has developed tooth decay, he or she is more likely to develop additional cavities over time. How should I take care of my baby’s teeth and gums at home? Infants do not have teeth to brush or floss. However, they do have gums that should be cleansed gently with a damp cloth each day. Once the first tooth emerges, an age appropriately- sized toothbrush can be used to carefully brush and prevent the build-up of plaque. Should I bring my infant to the dentist? Yes. Early visits to the dentist are highly informational and supportive. Children should visit the dentist for the first time within six months of getting a first tooth and no later than age one. Choose a pediatric dentist in [city] who specializes in treating children and adolescents. Keep in mind that the initial dental visits for babies and toddlers are primarily educational, but have significant long-term impact on your child’s oral health. Is there anything I can do to prevent early childhood tooth decay? 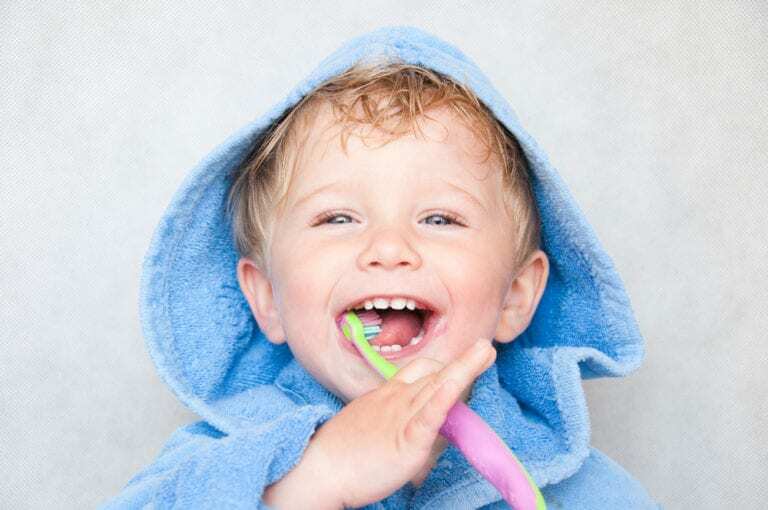 In addition to cleaning your infant’s teeth and gums, you can help prevent tooth decay by ensuring your child is getting plenty of fluoride – whether in your local water source, via fluoridated toothpaste or by way of professional fluoride treatments. In addition, do not allow your child to go to bed with a bottle, as doing so can lead to a condition known as ‘baby bottle decay’.